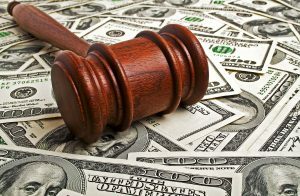 A Los Angeles jury recently awarded what could be a record amount of damages to date in a legal business dispute over a marijuana grow and retail business. The case, which was first filed in November 2016 in California Superior Court in L.A. County, came to a close on Dec. 17 when a jury found for the plaintiffs and awarded $4.3 million in damages after finding that defendant James Shaw was guilty of fraud, breach of contract, breach of fiduciary duty and more. The suit was brought by an investor, Sergio Tellez, who claimed that Shaw, a longtime L.A. cannabis businessman and activist, defrauded him out of $2 million and subsequently forced him out of the marijuana business at the heart of the case. Shaw’s attorneys did not respond to requests for comment, and Shaw could not be reached. It’s not clear yet if an appeal is planned. According to the original lawsuit, Shaw “fraudulently induced (Tellez and his companies) to invest into his (Shaw’s) plan to build and operate a state-of-the-art medical marijuana dispensary and cultivation operation” at 1411 Wilson St. in Los Angeles. In return, the suit alleged, Shaw promised to make Tellez a director in his MMJ collective at the time, Arts District Patients Collective, and to give operational control of the new business to the California Institute of Cannabis, a nonprofit controlled by Tellez.